Playing card games is one of the most enjoyable ways to pass the time. This is especially true if you are playing with a friend. There is no shortage of card games that you can play with a buddy. If you’re looking for a good way to pass the time with friends, why not play the Speed card game? As the name implies, Speed is a very fast-paced game that is played with a standard deck of cards. However, playing speed card games isn’t all about being quick because you need to play tactfully as well. If you are not familiar with Speed, we have written a guide for beginners. Don’t worry because this card game is very easy to learn. To play a Speed card game, you will need a standard deck of playing cards for two players. However, if there are more than two players, you will require an additional deck of cards. The game is called Speed because of two important things. First, the player will need to play carefully but predict the moves of his opponents quickly. Second, taking turns happens a lot lesser compared to other card games, and players can play multiple cards within a single turn. In Speed, players need to play their hand in ascending or descending order, regardless of color or suit. Take a look at the rules of the game below. Deal 5 cards to each player, facing down. These 5 cards make up each of the player’s hands. They can look at the cards once all players have been dealt. The playing table is composed of four piles – 2 center piles and 2 side piles (aka the reserve). Put 5 cards in both the side piles, then one card each on both the central piles. The center piles are where the participants will play. Deal each of the players with a draw pile of 15 cards. The draw pile will be used by the player to recover 5 cards to their playing hands. If there are more than two players, get an extra deck and add another center and side pile for each extra player. Start the game by flipping the 2 center cards. Each player must look at their hands and look for any sequential cards. He or she can play in either ascending or descending order. For example, if one of the cards in the center pile is an 8, players can either play a 7 or 9. Players will proceed to play simultaneously by placing one card each on either of the center pile. It can be greater or lesser value than the card in the center. 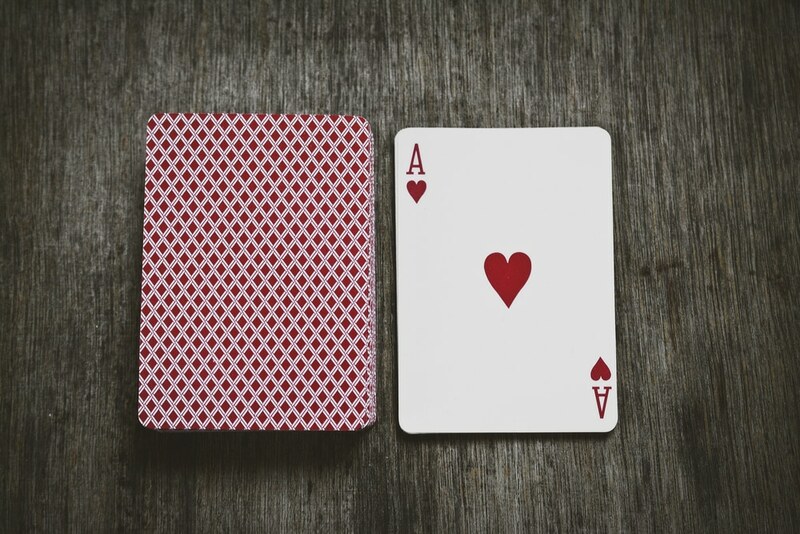 Aces can be valued both high and low which means you can play either a King or a 2. In the event that none of the players can make any legal plays with their hand, they can select a card from the side piles and place them upward facing over the two center piles. Continue doing this until any of the cards become playable. If the side piles run out, players can reshuffle the center cards which can be used for the new side piles. Players can then turn over each card from the piles to continue playing. When a player runs out of cards in both his hands and side pile, he must slap both the side piles and shout “Speed” to win the game. There are other rules that can be used on top of the existing rules. Doubles: In this variation, players can play cards that are equal in value to one of the cards in the center pile. For example, if the card in the center pile is a queen, players can play a queen if he or she has it on hand. Wild cards: You can use jokers to be played as wild cards. As wild cards, jokers can take the value of any cards which means that you can play it at any time during the game. Well, except if it’s the last card of the play. Wrapping Up: A Card Game That’s Super Speedy Fun! As you can see, the Speed card game is very easy to learn, thank to its simple rules. However, you do need to be quick to react to get the advantage over your opponent. If you wish to practice, you can easily play a Speed card game online or through a smartphone app. We hope that we were able to orient you properly on how to play Speed. If you want to learn more about card games and find out about techniques to winning, check out CardGameInfo.